Greece has no long-term energy plan despite promises from every government since 2007, writes Nikos Mantzaris. Nikos Mantzaris is energy and climate policy expert at WWF Greece. Yet nothing prevented government decisions aiming at servicing what seems to be a central dogma in Greek energy policy: the prolongation of the lignite-based electricity model in Greece. It is in this spirit that PPC and the Greek authorities have been continually trying to bend European environmental legislation regarding the operation of lignite plants. 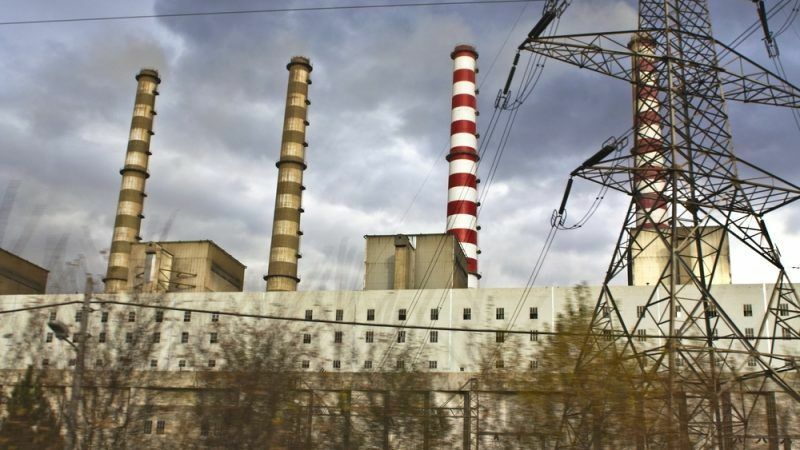 In 2015, for example, they pushed for an extension in the lifetime of the oldest and one of the dirtiest lignite units (Ptolemaida III), although its 2011 environmental permit was issued with the condition of the retirement of the entire plant by the end of 2015. The same year PPC and the Greek authorities discovered that the operating hours for Thermal Power Stations (TPS) Kardia and Amyntaio, they had asked from the European Commission back in 2013, were not sufficient for their plans. They, thus, requested an increase from 17,500 to 32,000 hours until 2023. The fact that the request came almost two years after the expiration of the corresponding deadline didn’t seem to cause any hesitation on their part. The same carelessness was demonstrated towards the fact that neither Kardia nor Amyntaio are eligible for this ultra, 32,000-hour derogation of the Industrials Emissions Directive. The rejection from the European Commission did not seem to faze the Greek government, as it insisted on the request by embedding it in the negotiation talks with the EU for the sale of 40% of PPC’s lignite assets. The failure to gain permission for 32,000 hours of operation is not the last chapter in the eventful TPS Amyntaio saga. Last week, two private companies came forward offering to retrofit the plant in order to keep it operational until 2030, in exchange for signing – no doubt profitable for them – a power purchase agreement with PPC. A consortium of a Greek and a Chinese company offering to form a partnership with PPC in order to retrofit and operate the plant from here on. It is no coincidence that none of these companies offered to fully purchase the power plant and be 100% responsible for covering its operating costs, which are expected to skyrocket in the coming decade due to escalating carbon prices, thus rendering its operation uneconomic. It is also noteworthy that one of the companies has been in court with PPC for years trying to obtain better electricity prices from the main electricity provider in the country. What better opportunity to achieve an even better deal than right now, when PPC is in dire financial straits? In any case, the companies choosing to get involved should learn from past mistakes. Specifically, they should not attempt to bypass or underestimate the European environmental legislation regarding the operation of TPS Amyntaio. The plant is currently under limited lifetime derogation and is allowed to operate for no more than 17.500 hours until 2023. In order to extend its operation beyond that date or after the exhaustion of these operating hours, as the companies aspire to do, the plant should be retrofitted extensively in order to comply with the new, stricter environmental rules, recently approved by the EU. There is no proof that the €110 million offered by one of the companies for retrofits will be sufficient to accomplish this difficult mission, considering the fact that the plant’s current emission levels are off the rooftop and very far away from the new emission limits. Moreover, the plant’s environmental permit expired in 2015. In order to obtain a new one, a new environmental impact assessment is absolutely necessary, with all pertinent public consultation processes, taking into account the installation of new abatement technologies and all recent developments in European and national environmental legislation. There is also the issue of the electricity prices that will be agreed between PPC and the company. The deal should not come at the expense of PPC’s economic viability – the company has complained for years for the low electricity price it was forced to receive from Aluminium of Greece S.A, the owner of which is now offering to retrofit TPS Amyntaio. It should also not come at the expense of Greek citizens, another tricky proposition if one takes into account the fact that PPC will continue to pay for emission allowances for this plant under ETS during the entire decade, while carbon prices are predicted to increase dramatically. Last but not least, it should not come at the expense of the safety of the workers while the mine is still being exploited or the restoration process in Amyntaio after the mine is depleted from lignite. The key question for the Greek government and PPC is whether renewing the operation of TPS Amyntaio will result in further losses for the state-owned company, for which the Greek citizens will end up compensating one way or the other. The Greek government is responsible for more than that though: Protecting the environment and the health of its citizens, an obligation for which it doesn’t seem to care so far judging from the insistence to extend the operation of one of the dirtiest lignite plants in the EU. @matzaris why don’t you go and see which politicians are elected in the region where the plant is..this is how you will the trust of Greek citizens, not by writting to the Brussels bubble media. Then ask the current revolutionary government their opinion and make that also public. PS and then go and tell to your German colleagues to Wake th f@ck up and do sth about their transport industry, which is destroying our health and future climate!! !